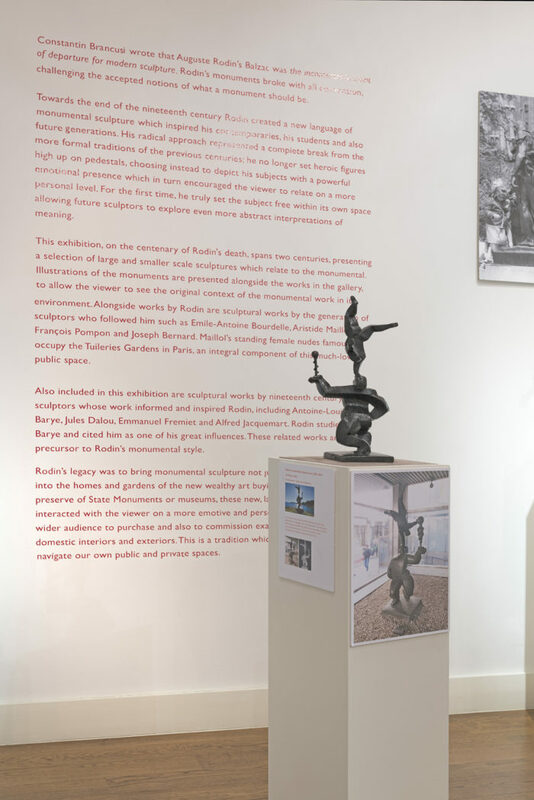 Constantin Brancusi wrote that Auguste Rodin’s Balzac was the incontestable point of departure for modern sculpture. 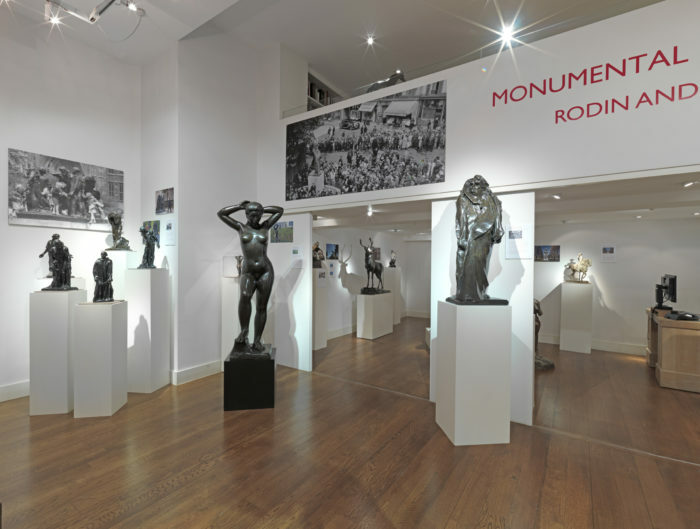 Rodin’s monuments broke with all convention, challenging the accepted notions of what a monument should be. 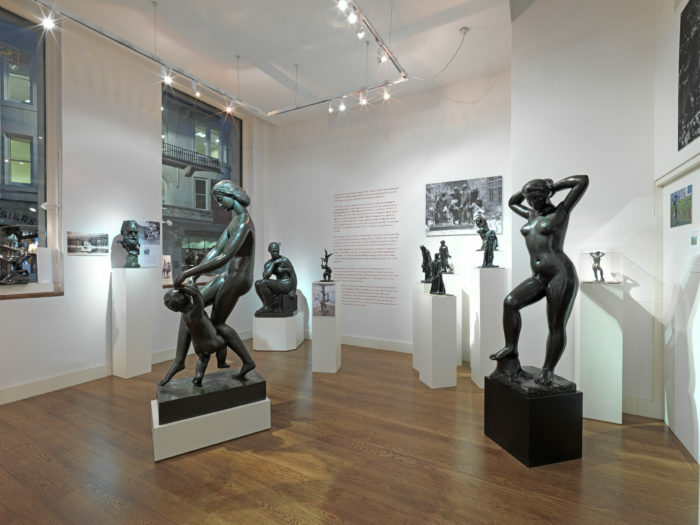 Towards the end of the nineteenth century Rodin created a new language of monumental sculpture which inspired his contemporaries, his students and also future generations. 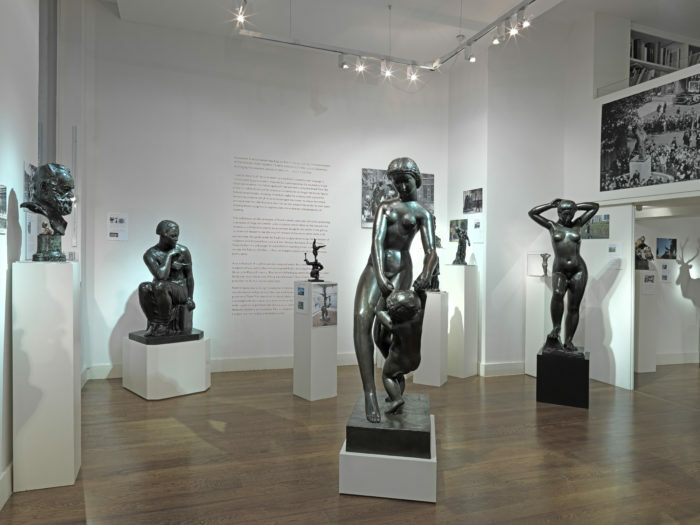 His radical approach represented a complete break from the more formal traditions of the previous centuries; he no longer set heroic figures high up on pedestals, choosing instead to depict his subjects with a powerful emotional presence which in turn encouraged the viewer to relate on a more personal level. 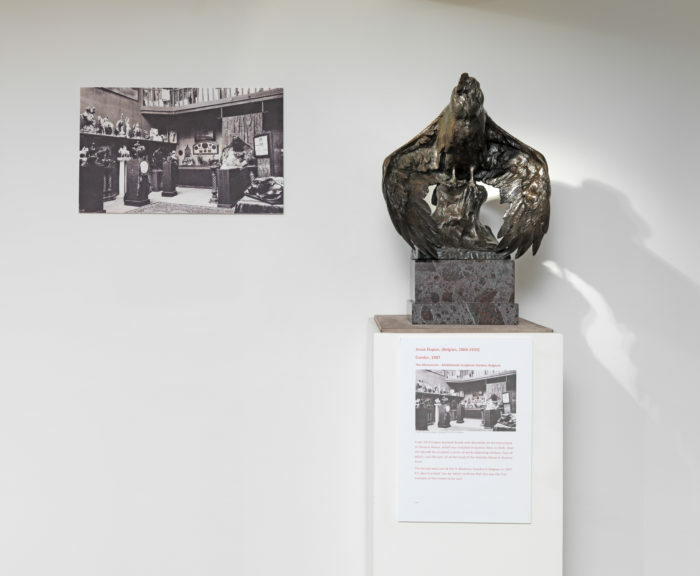 For the first time, he truly set the subject free within its own space allowing future sculptors to explore even more abstract interpretations of meaning. 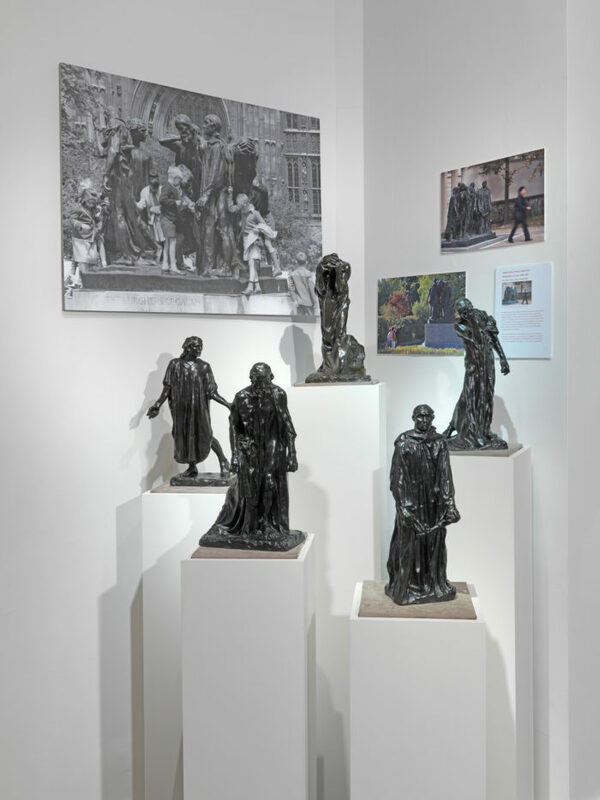 This exhibition, on the centenary of Rodin’s death, spans two centuries, presenting a selection of large and smaller scale sculptures which relate to the monumental. 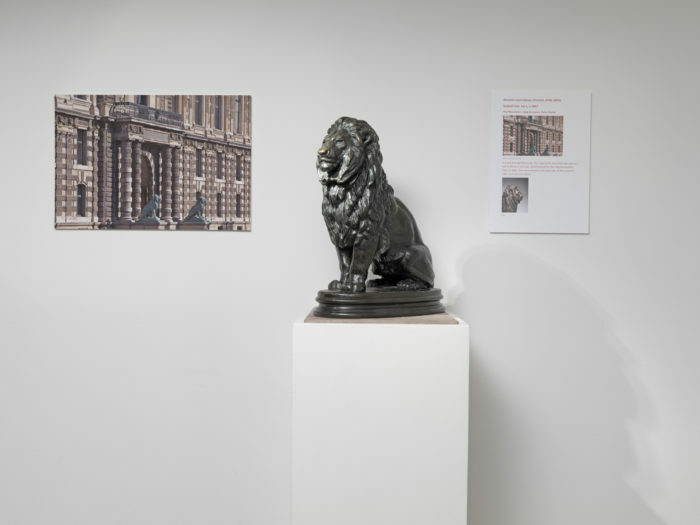 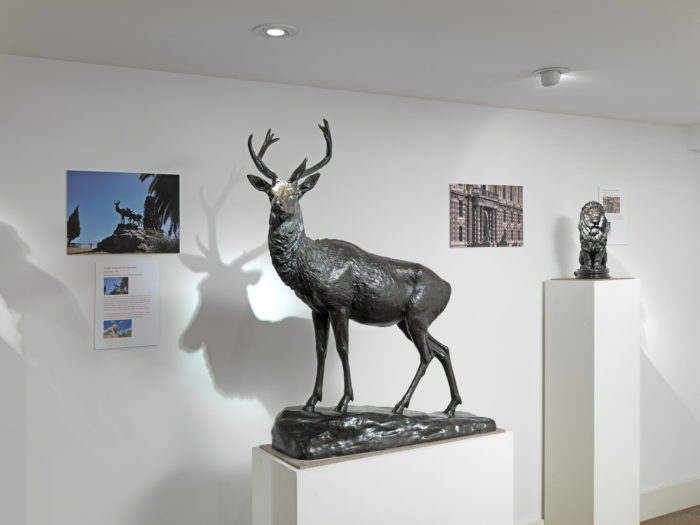 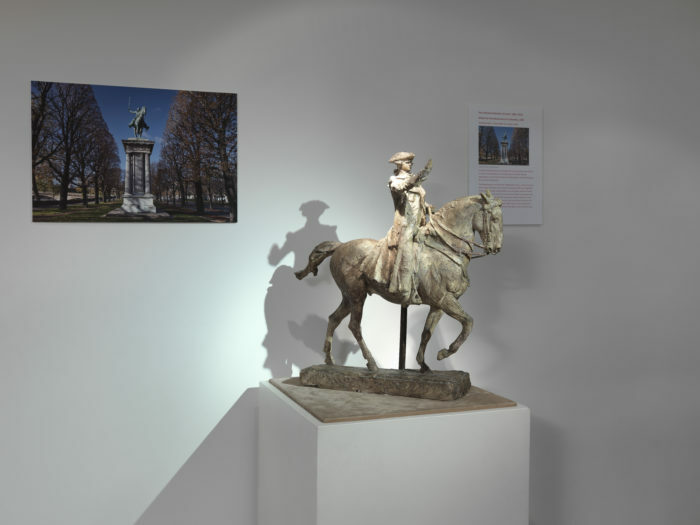 Illustrations of the monuments are presented alongside the works in the gallery, to allow the viewer to see the original context of the monumental work in its environment. 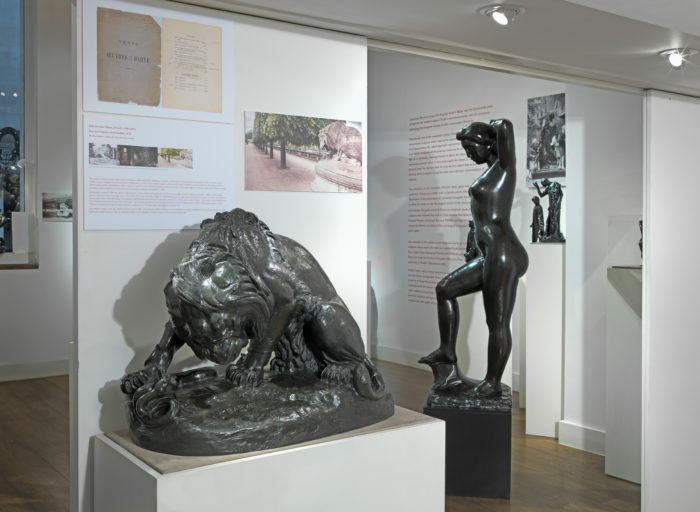 Alongside works by Rodin are sculptural works by the generation of sculptors who followed him such as Emile-Antoine Bourdelle, Aristide Maillol, François Pompon and Joseph Bernard. 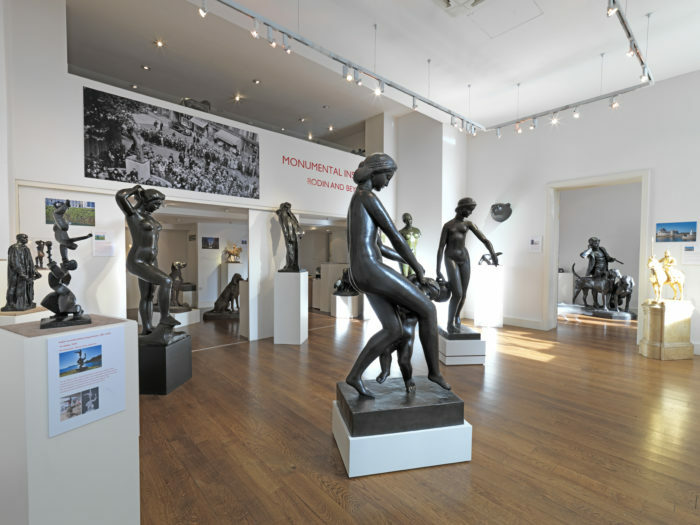 Maillol’s standing female nudes famously occupy the Tuileries Gardens in Paris, an integral component of this much-loved public space. 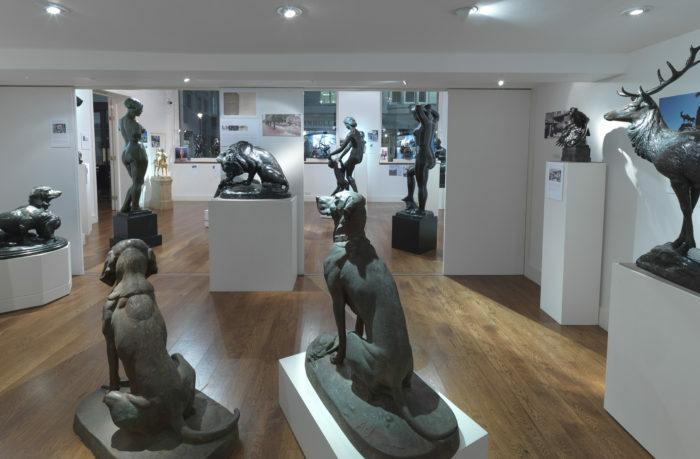 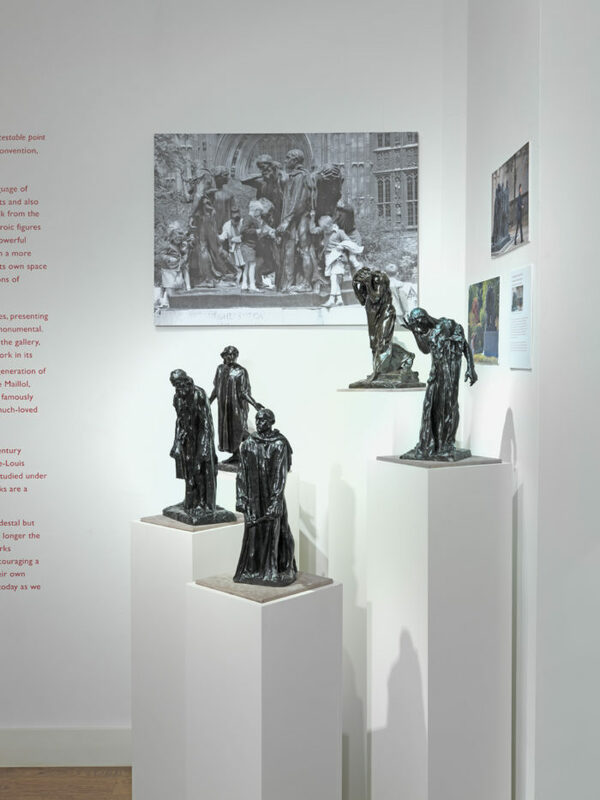 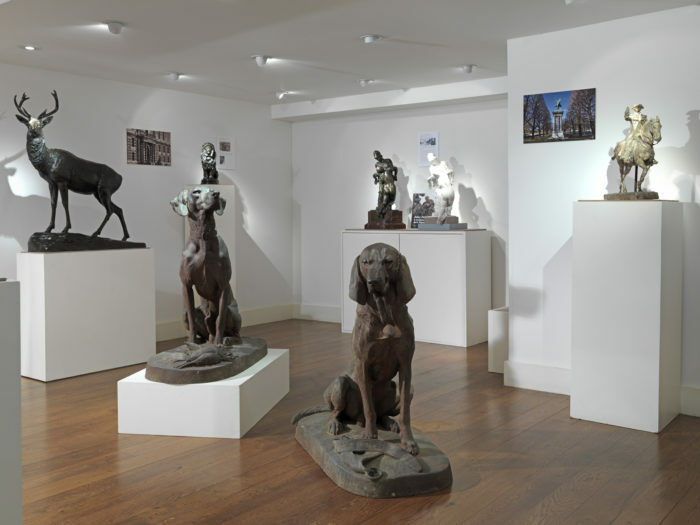 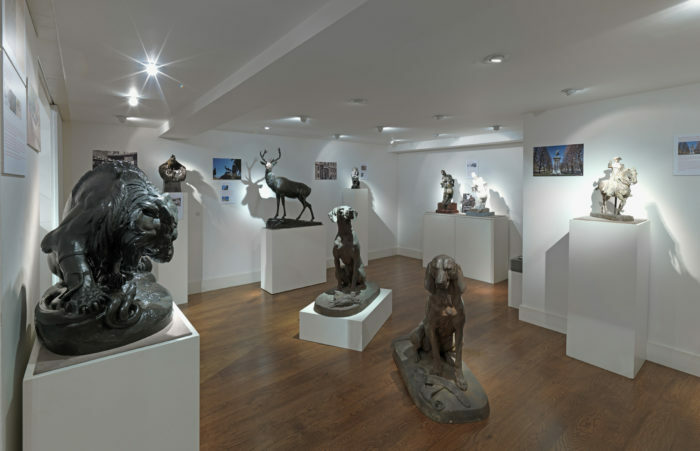 Also included in this exhibition are sculptural works by nineteenth century sculptors whose work informed and inspired Rodin, including Antoine-Louis Barye, Jules Dalou, Emmanuel Fremiet and Alfred Jacquemart. 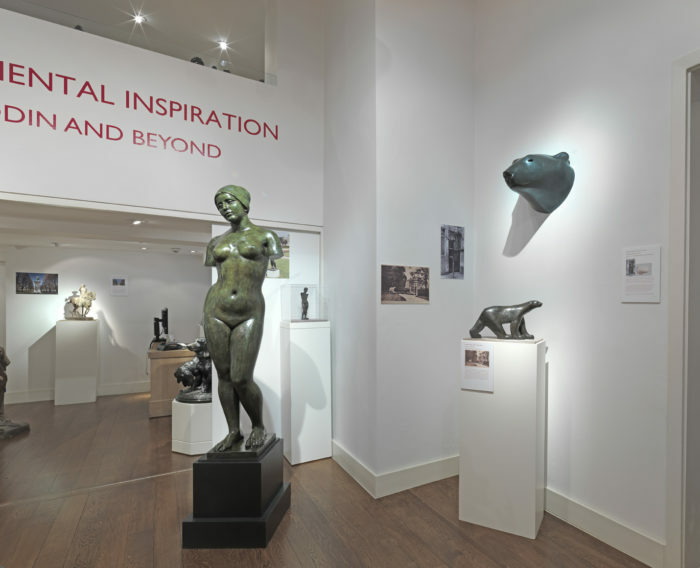 Rodin studied under Barye and cited him as one of his great influences. 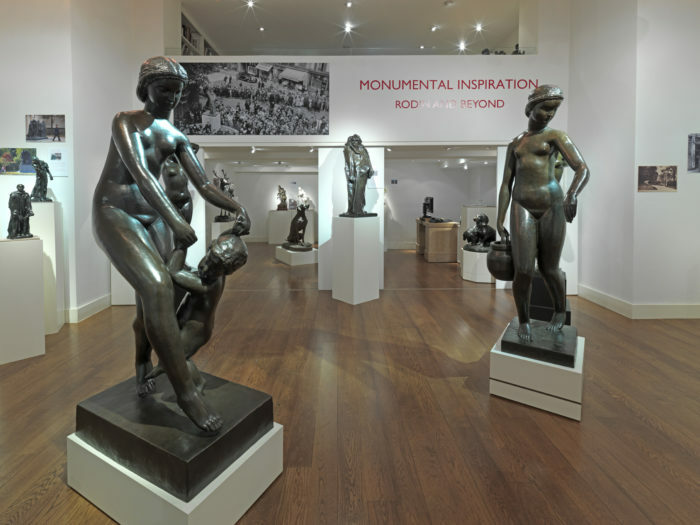 These related works are a precursor to Rodin’s monumental style. 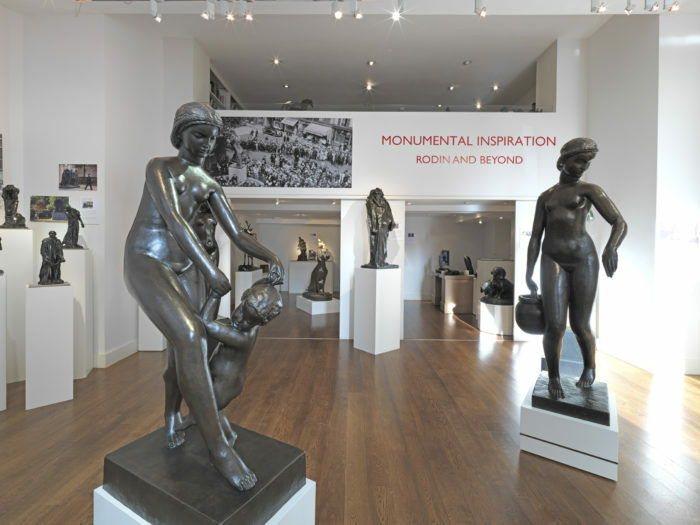 Rodin’s legacy was to bring monumental sculpture not just off the pedestal but into the homes and gardens of the new wealthy art buying public. 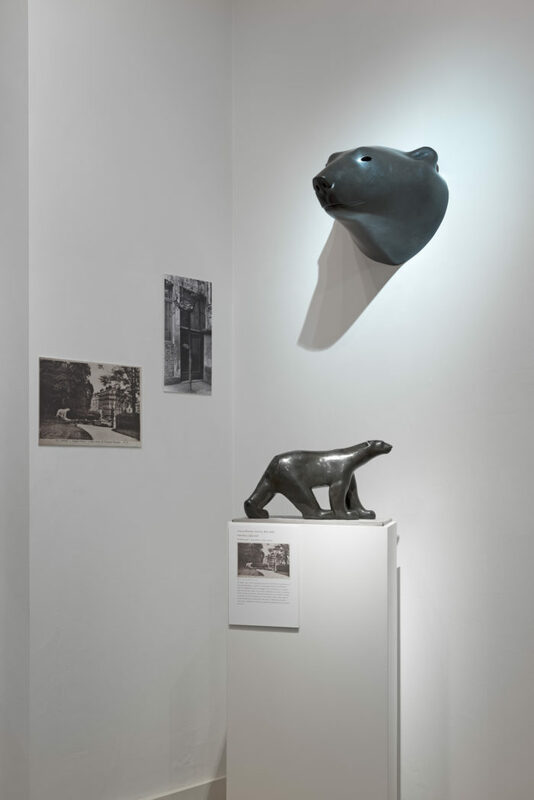 No longer the preserve of State Monuments or museums, these new, large-scale works interacted with the viewer on a more emotive and personal level, encouraging a wider audience to purchase and also to commission examples for their own domestic interiors and exteriors. 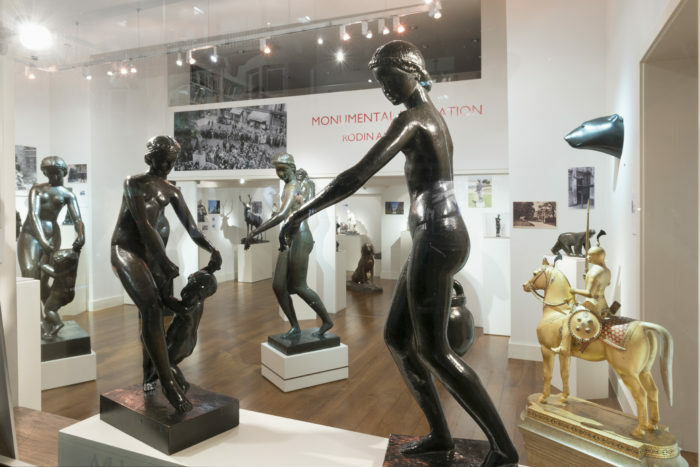 This is a tradition which continues today as we navigate our own public and private spaces.